Those who have walked along the 164-foot-long Avenue of the Lions, with its five Naxian marble beasts crouching on their haunches, forelegs stiffly upright, vigilant guardians of the Sacred Lake, who have gazed at the marble columns of its temples and stood amidst the Agora and the remains of this once cosmopolitan Greek city know why this unique island was named as a World Heritage Site by UNESCO. 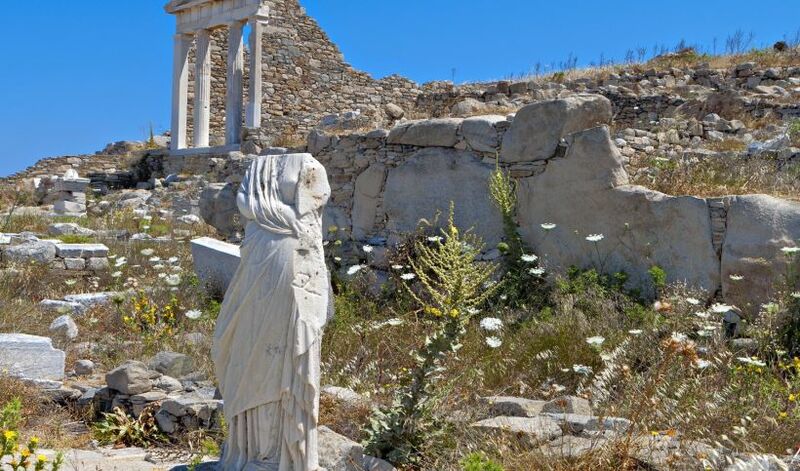 The Archaeological Museum of Delos houses one of Greece’s most significant collections, including rare exhibits of ancient sculpture, ceramic vessels, epigraphs and wonderful mosaics. Enjoy the video by Rick Steves!